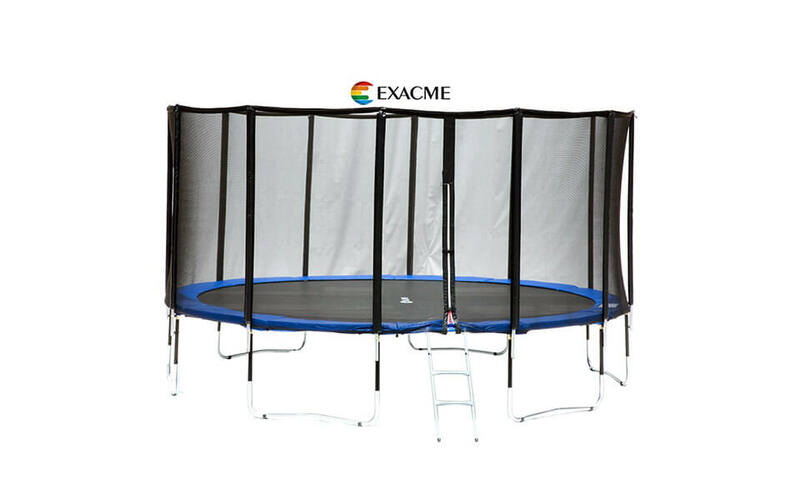 Rather uninspiring in design, the ExacMe trampoline won’t win any awards. But it’s not ugly by any means. It’s a standard-issue design with blue safety pads and a black enclosure. The design will suit those who don’t really mind and would rather appreciate the cost savings brought about by the lack of flair. Six U-shaped legs that this trampoline has keep it more stable than some of its five-leg competitors. 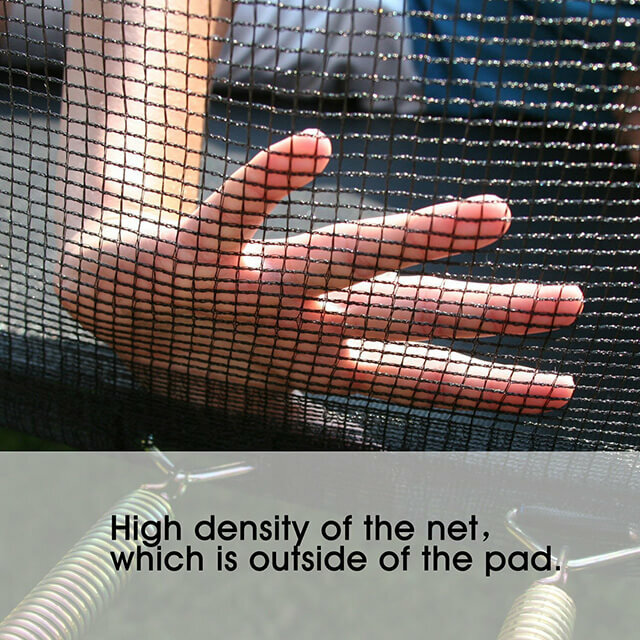 Six enclosure poles keep the net firmly stretched around the trampoline. The poles are a bit thin and are just 1 inch in diameter, though, and there have been reports of them bending during heavy weather. The steel tubes are galvanized to prevent rust and aren’t shoddily built. Unfortunately, the springs are inside the enclosure, a slight safety ding that is somewhat mitigated by the heavy-duty pads. Overall, the mesh does the job and it withstood several tricky landings by our not-so-slim reviewer. It also appears to be very sturdy and didn’t degrade in the rainy weather. The enclosure features a zipper to facilitate safe entry. 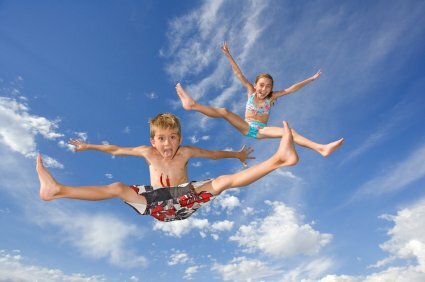 The mat is made of polypropylene, which is somewhat of a standard in the world of trampolines. It’s well-stitched and sturdy. 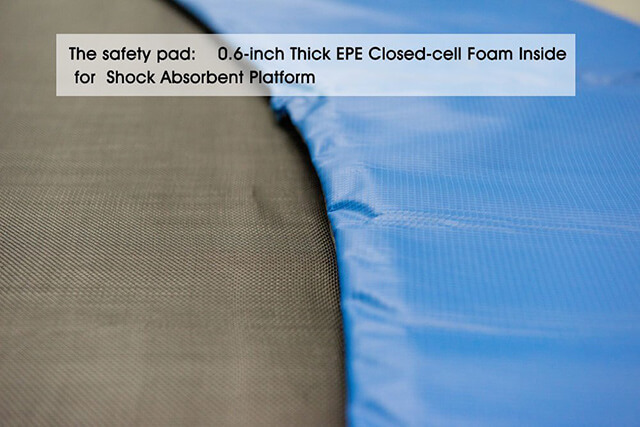 The pads are also standard-issue PE+PVC material, with a thickness of 0.6in. This is above our minimum requirements of at least half an inch for optimum protection. The weight limit is 375 lbs. This is a lot for a trampoline of this size. We have our doubts about the limit, but the trampoline did survive our short-term testing under 350 lbs. of weight. This is one of the best parts of this trampoline. The mat is bouncy and springy. 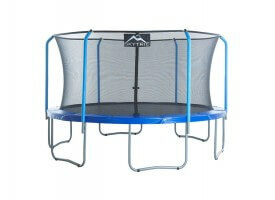 There’s a nice feeling you get when you bounce that resembles some of the more expensive trampolines out there. We could see ourselves bouncing on this for hours on end. 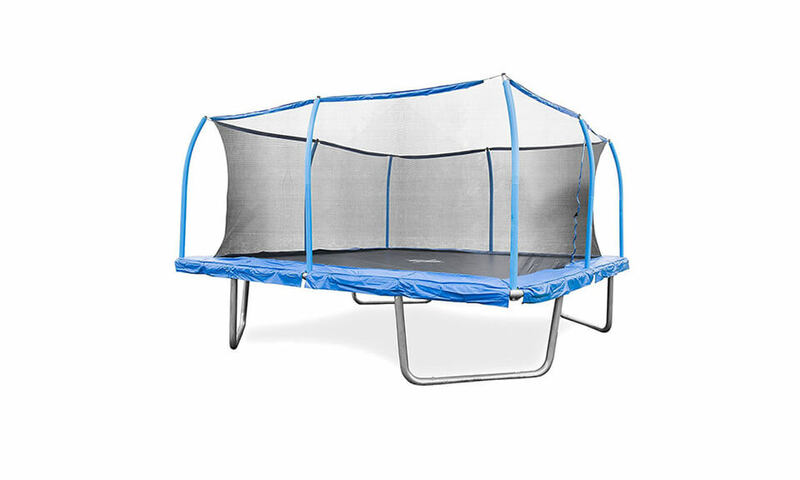 The manufacturer didn’t skimp on the number of springs – whopping 96 springs is something most trampolines of this size don’t offer, let alone in this price range. The 15ft model comes with an even larger number, 108. The springs each measure 6.5in in length and are 0.12 in thick. The ExacMe website features a large selection of spare parts at keen prices to buy after your warranty expires. It’s rather short at only 90 days and the company has a record of spotty customer support. 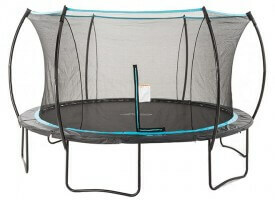 Note that they might charge a 20% restocking fee should you choose to return your trampoline back (unless it’s due to a manufacturing defect, of course). 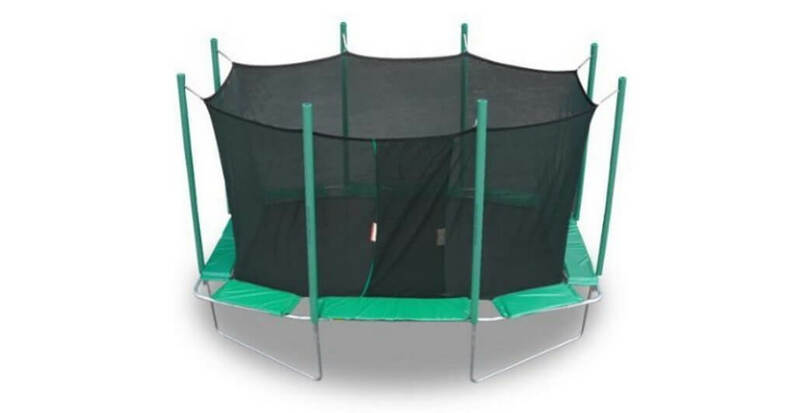 The trampoline comes packaged in three bulky boxes, but the assembly process isn’t too complicated. 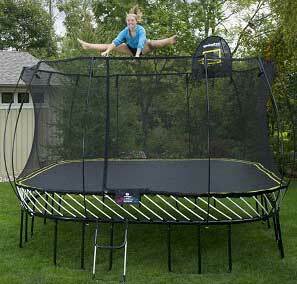 Due to the sheer size of the trampoline, we recommend that two people be present to put this together easier. A wrench is included in the box for easier installation. It’s nice that the installation is intuitive, as the instruction booklet leaves a lot to be desired. Writing is hard to decipher and the pictures are next to useless. But a few hours of tinkering and the trampoline should be ready to go. 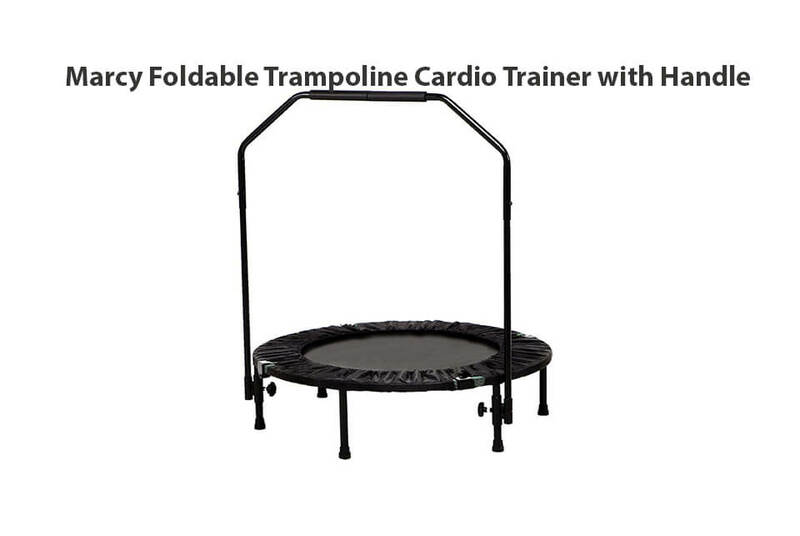 This 14ft trampoline has obviously been created with a simple underlying philosophy – to give best value for as little money as possible. 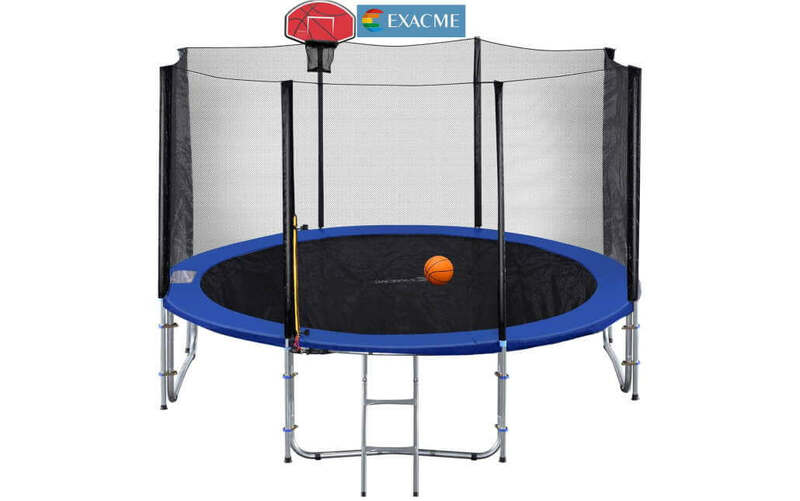 And the Exacme Trampoline has done just that. Yes, it is a bit wonky and indeed, the instructions are horrible. However, this trampoline does have a few very important things going for it. It’s well-built, sturdy and has a great number of springs. 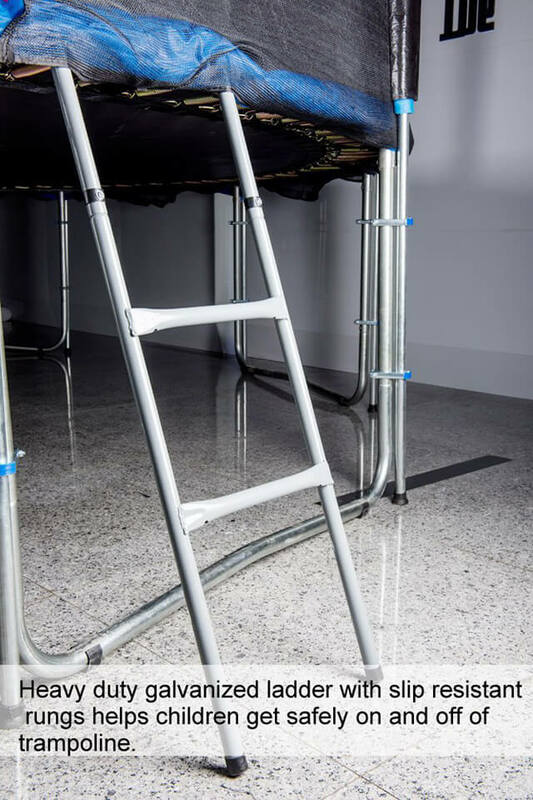 You get a zippered enclosure and the ladders included in the price. 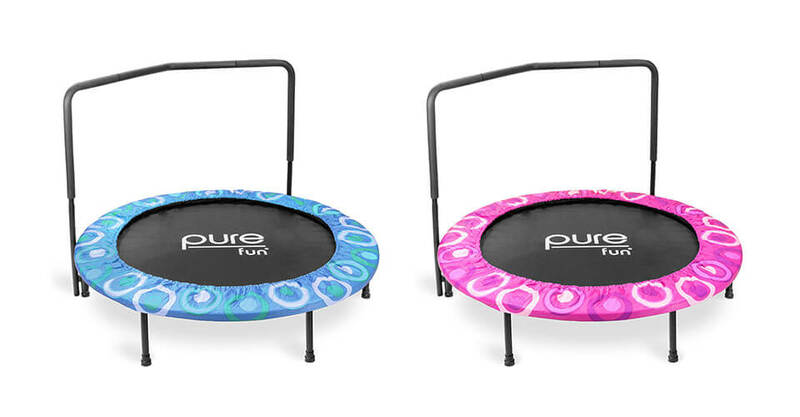 The bounce resembles that of very expensive trampolines, and all for a bargain bin price. 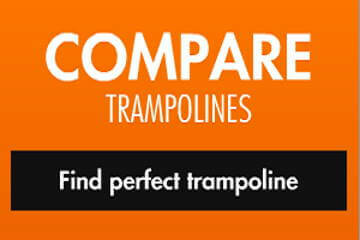 We can really recommend this cheap and cheerful trampoline if you’re on a budget and don’t mind a little tinkering. 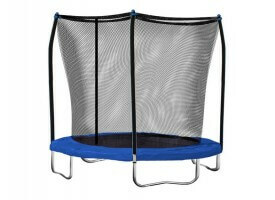 Bouncy & sturdy but a bit too expensive as for several $$$ more you can get 15ft. version! 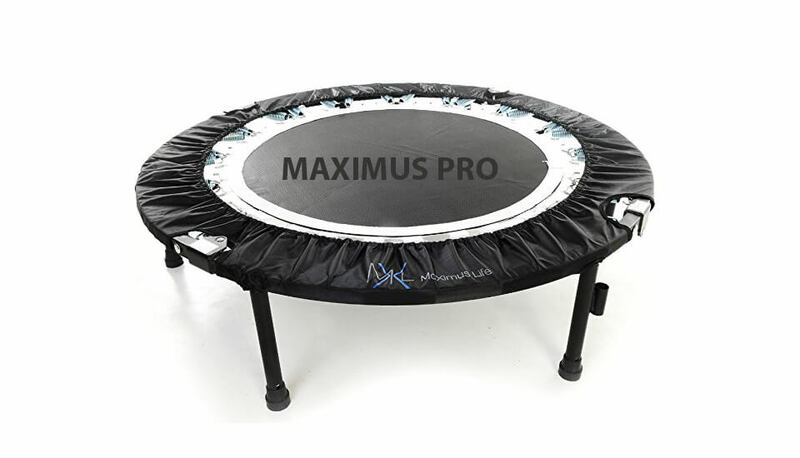 But overall recommended trampoline from reputable manufacturer.